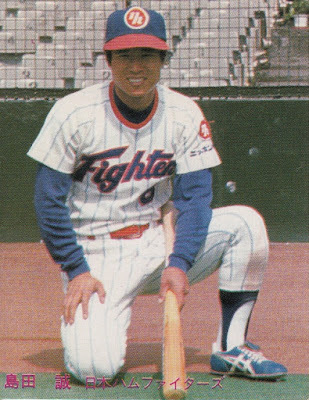 Last spring, the Fighters announced that they would be holding the first part of their 2016 Spring Training in Peoria, Arizona. 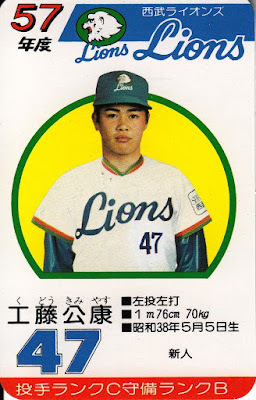 This is not the first time that an NPB team has trained in the US although I can't remember that last time it happened. Details have been released over the last month on the Fighters website including a schedule of events and a list of players attending the camp. 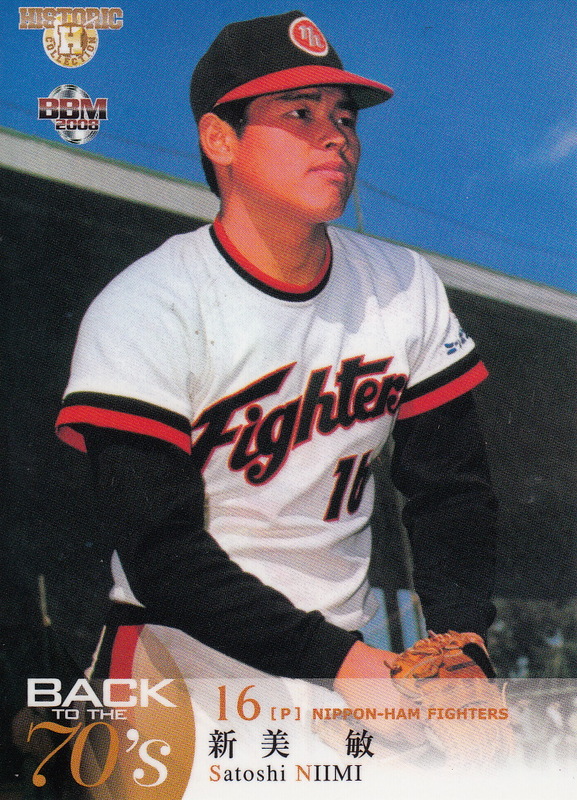 The Fighters will be at the Padres facilities at the Peoria Sports Complex from February 1st to the 15th. They will play intrasquad games on the 6th and 14th and games against KBO teams on the 8th (Lotte Giants), 10th (Lotte again) and 13th (NC Dinos). 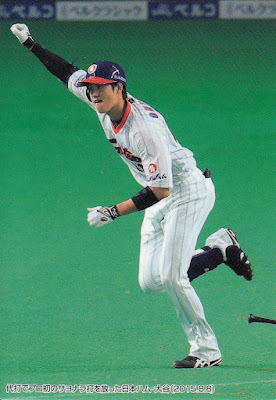 There are workouts scheduled for all other days except the 5th and 11th. I think workouts will start around 9:45 each day (including the days that there are games). As far as I know, all events are open to the public although there is probably an admission charge to the big stadium for the games against the KBO teams. 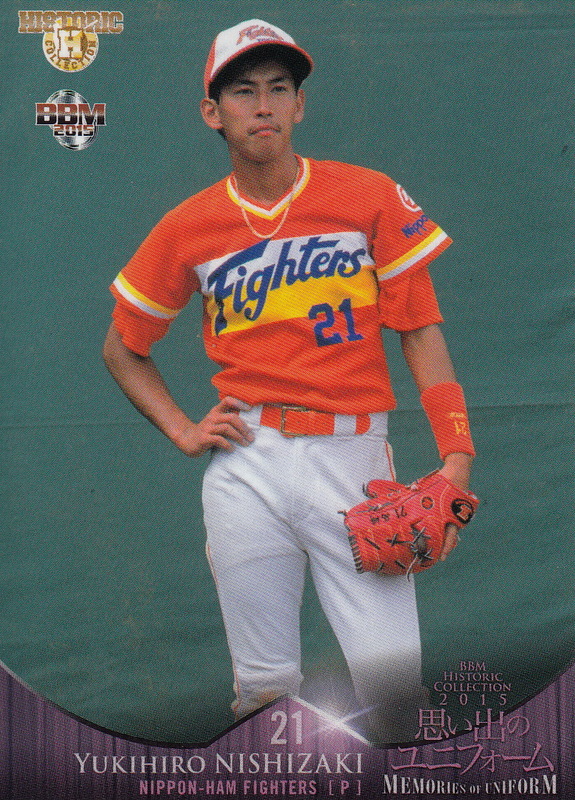 I've translated the roster of the players and coaches the Fighters are sending to Peoria. This obviously is a great opportunity to get autographs of Japanese players. 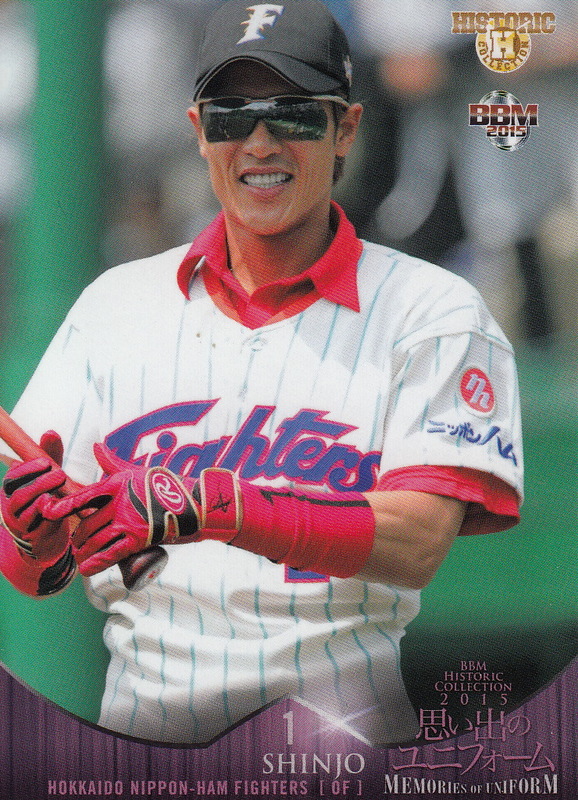 As you may have guessed from the Fighters' opponents in their spring training games, there are several KBO teams training in Arizona as well. 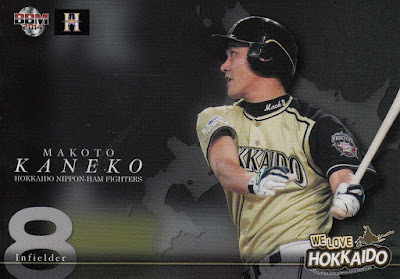 From what I've been able to figure out from looking at MyKBO.net, team websites and asking questions on the MyKBO.net forum on Facebook, there are six KBO teams training in Arizona (and they are already there as they started in mid-January). 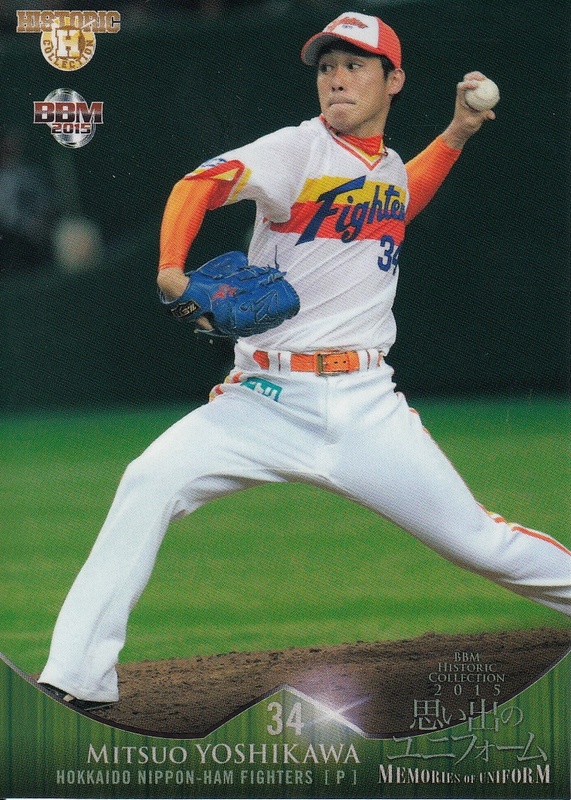 The Lotte Giants are using the Mariners facilities at the Peoria Sports Complex. 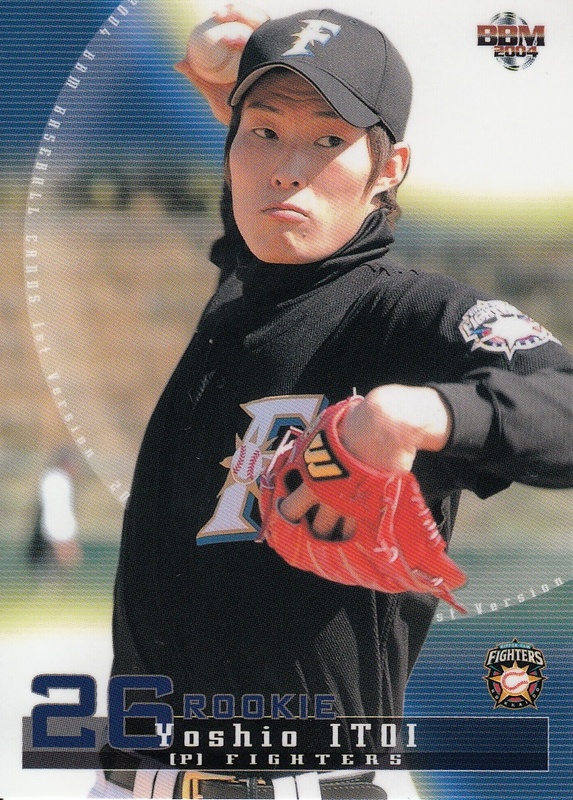 The LG Twins are at the Dodger's facilities at the Camelback Ranch in Glendale. The KIA Tigers are using the Diamondbacks spring training quarters at Salt River Fields in Scottsdale. The Nexen Heroes are Surprise but I don't know if they are using the Royals or the Rangers facilities (both are at the same stadium complex). The KT Wiz and NC Dinos are both training in the Tucson area (everyone else is in the greater Phoenix area). 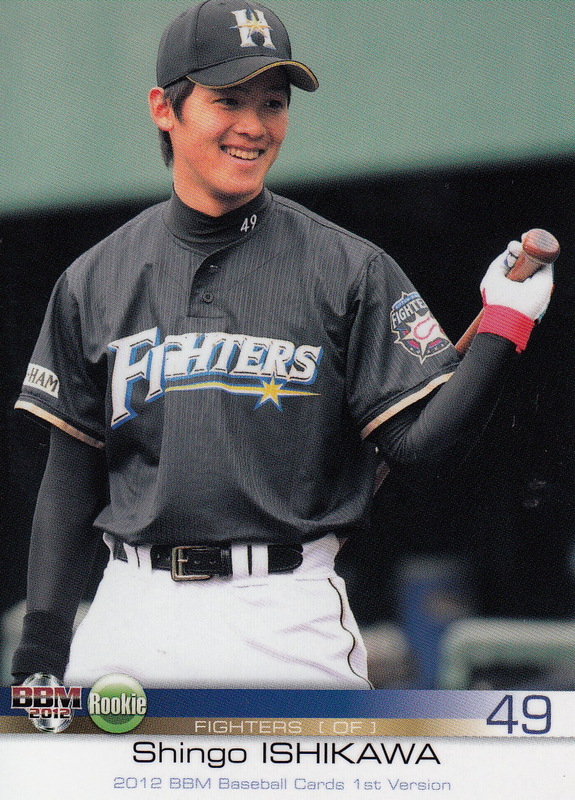 NC is at Reid Park but I haven't been able to figure out where KT is training. 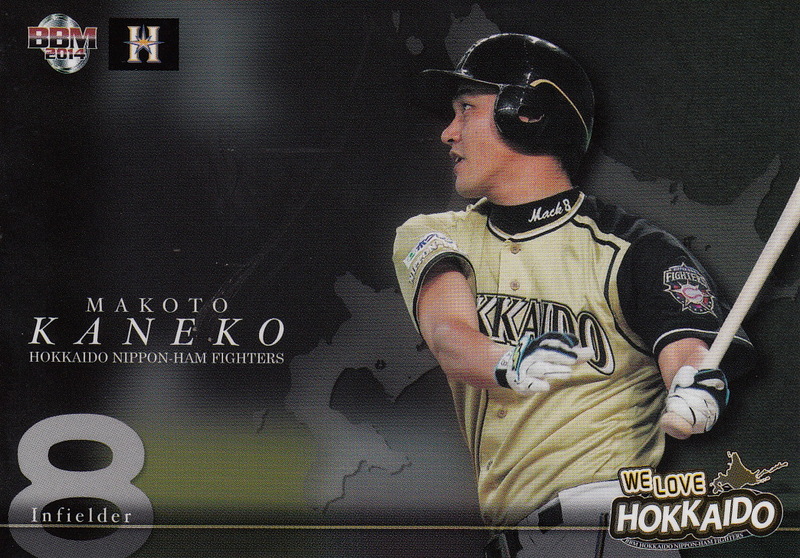 All the teams will be there through at least the first week of February - you can see details for each team's schedule here. The SK Wyverns are currently training in Florida but I do not know any details of where they are. 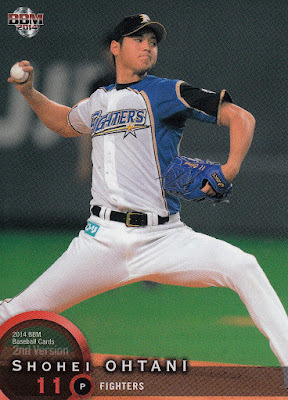 NC and KT are doing the second part of their spring training in the Los Angeles area but I don't know where they will be doing that or what the time frame for it is. On a personal note, I will be in Arizona for work in early February and I'm hoping to make it over to Peoria to see the Fighters as well as check out some of the KBO teams at their training. 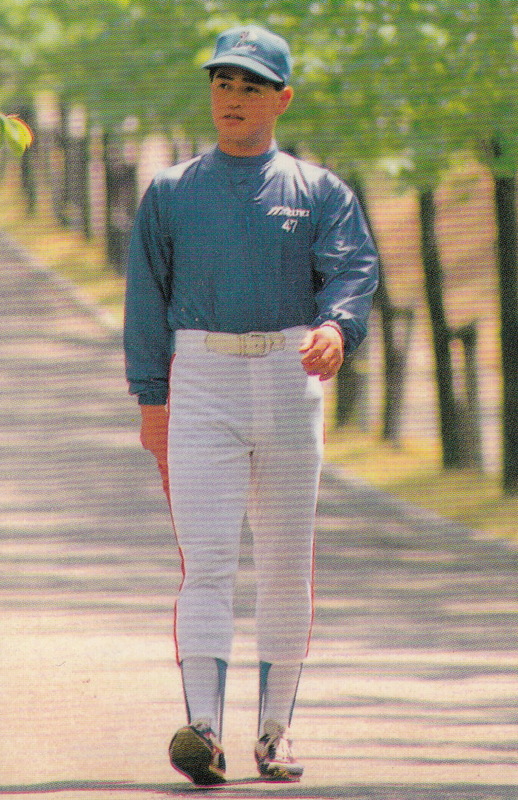 So hopefully there will be some future posts with pictures. 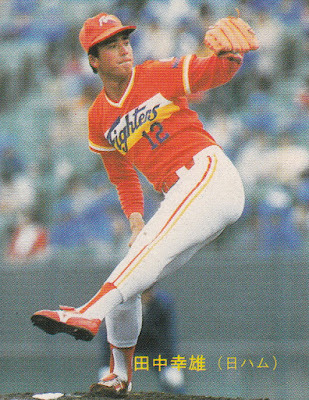 Not sure of where or when this is - I figure it's somewhere in Arizona during the 1980's. 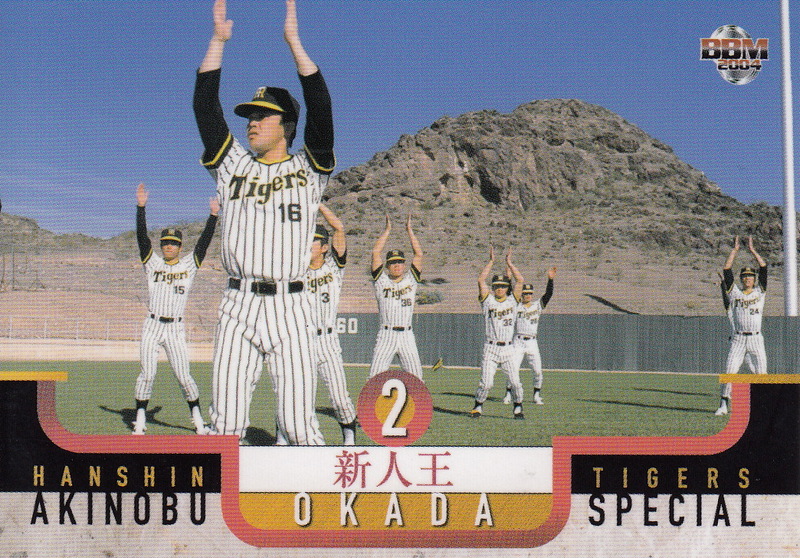 UPDATE - I'd be willing to bet that this is Tempe Diablo Stadium which is currently the spring training home of the Angels. 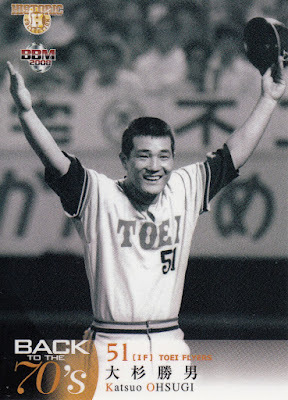 I really hadn't intended to take a six month break from doing these posts but life and work have been keeping me pretty busy lately (and 22 retiring players that I felt were worth doing posts on kept me pretty busy as well). 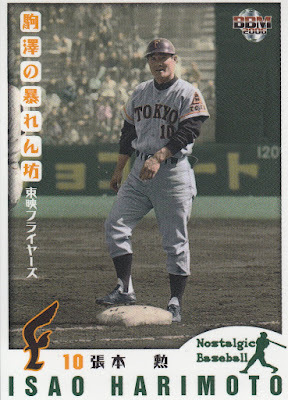 I'll try to get back to doing these somewhat regularly (although they are quite time consuming). 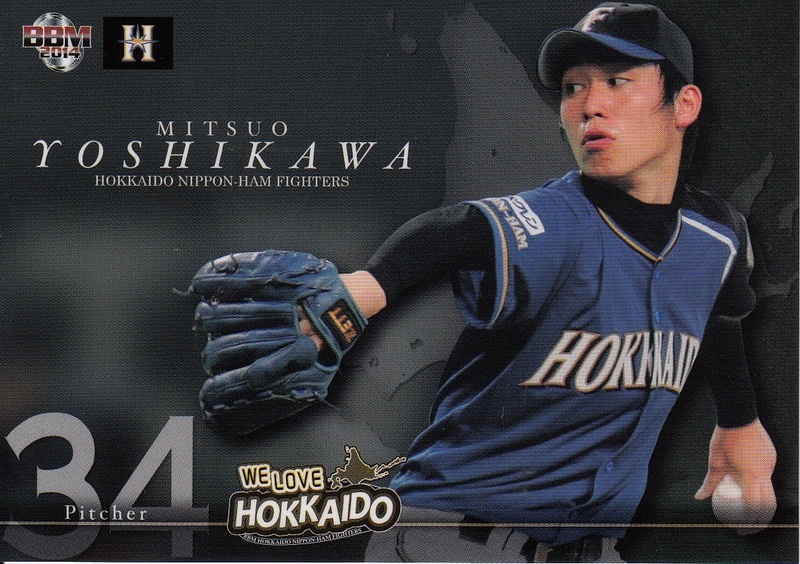 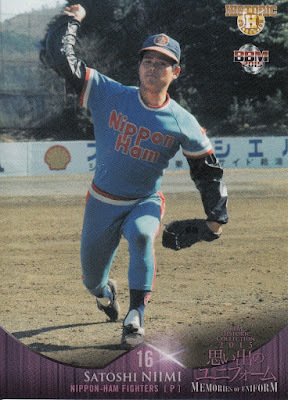 The team that is now the Hokkaido Nippon-Ham Fighters was founded after the war as the Senators. 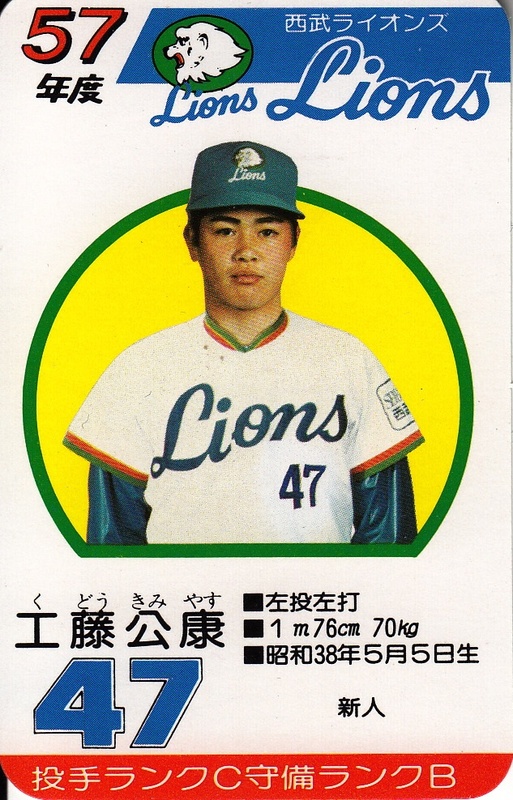 It was founded by Saburo Yokozawa who had managed a pre-war team called the Tokyo Senators from 1936-37 but this team is not considered a continuation of that team (technically that team is now the Saitama Seibu Lions but officially that team is simply defunct). The team played the 1946 season as the Senators, then was sold to Tokyu who renamed the team the Tokyu Flyers. 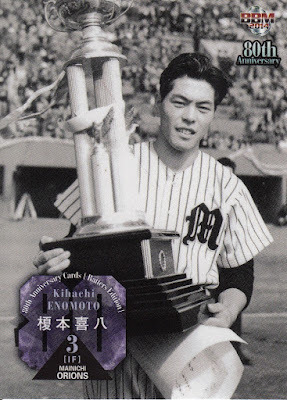 There was a brief merger in 1948 with the Daiei club which resulted in another name change (the Kyuei Flyers) for that season before Daiei "unmerged" with them to buy the Kinsei Stars and the team name reverted to the Tokyu Flyers. 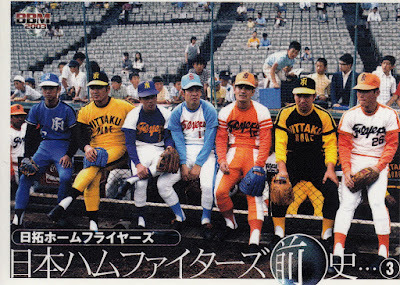 The team was sold to Toei in 1954 and renamed the Toei Stars. 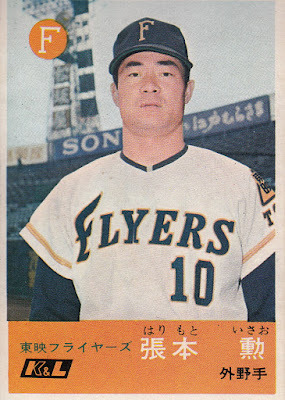 In 1973 the team was sold to the Nittaku Home real estate company and renamed the Nittaku Home Flyers. Nittaku Home would only own the team that one year, selling out to Nippon-Ham at the end of the season. The new name for the team starting in 1974 was the Nippon-Ham Fighters. 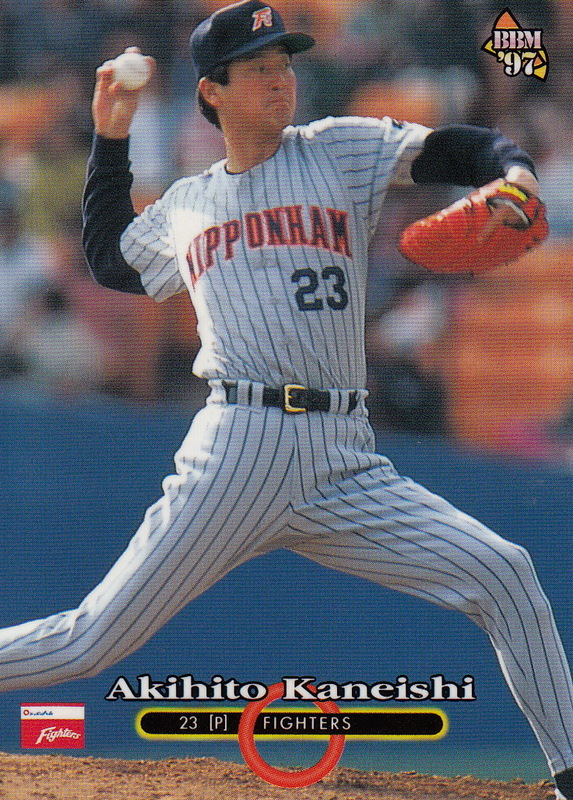 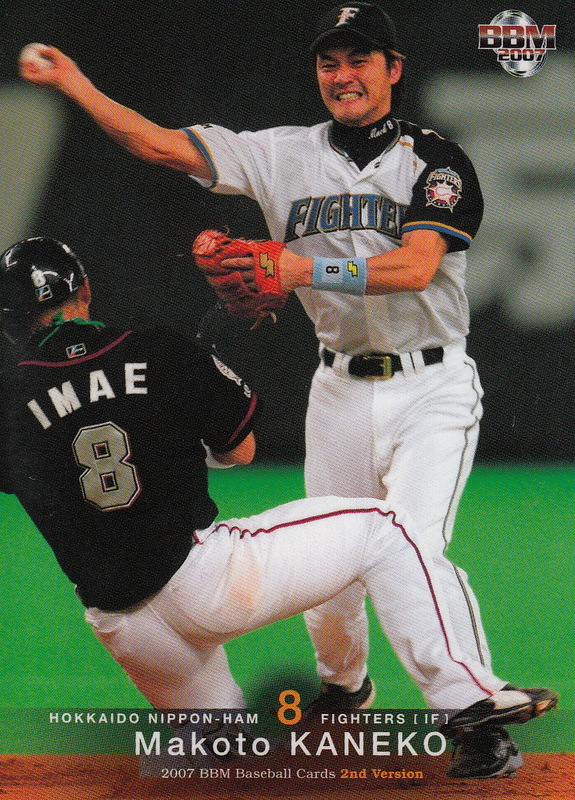 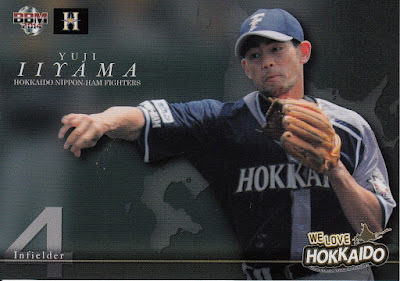 After sharing first Korakuen Stadium and later the Tokyo Dome with the Yomiuri Giants for 40 years, the team moved to Sapporo in 2004 and changed their name to the Hokkaido Nippon-Ham Fighters. 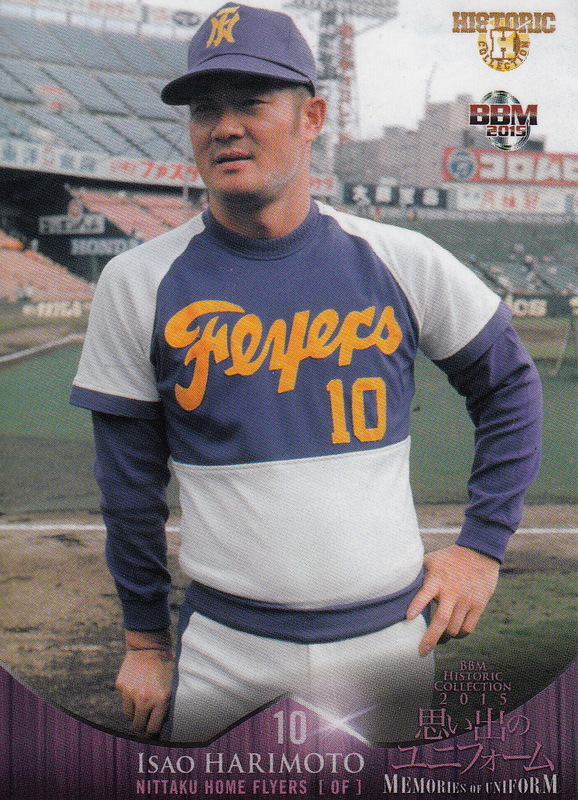 As I did for the earlier posts I am using The History Of Uniform and Professional Baseball Uniforms Encyclopedia 1936-2013 as my primary sources as well as Yakyu Baka's Uniform posts. 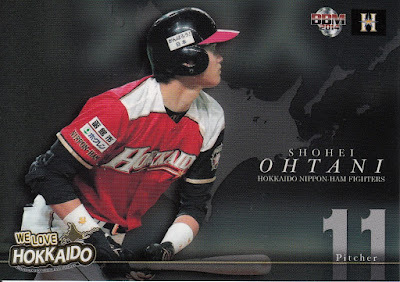 This one was a bit of a challenge as BBM has only done one OB team set for the Fighters and it was to celebrate the 10th Anniversary of their move to Hokkaido so it wasn't anything near comprehensive. I had been hoping for a 70th Anniversary set last year but it didn't happen. 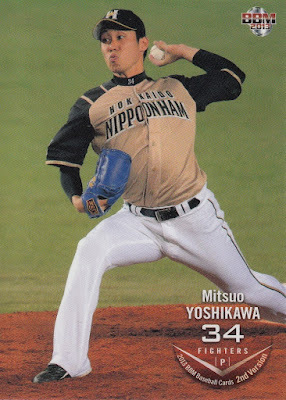 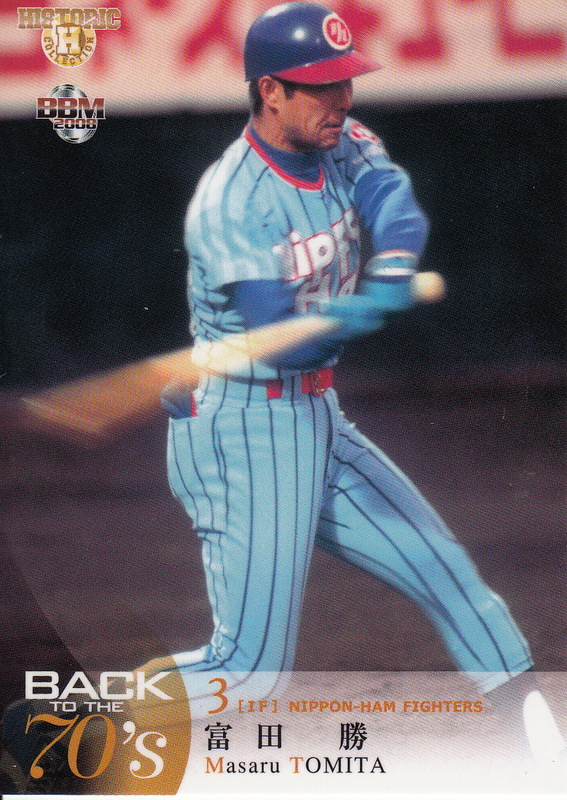 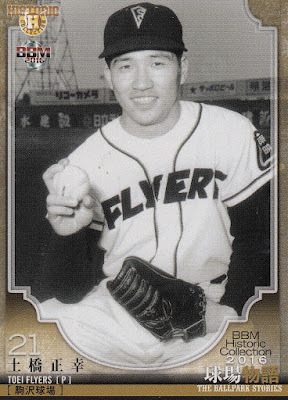 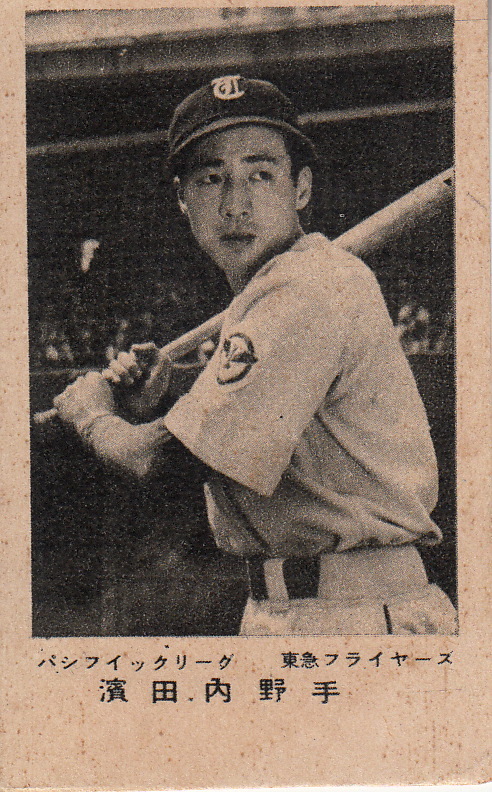 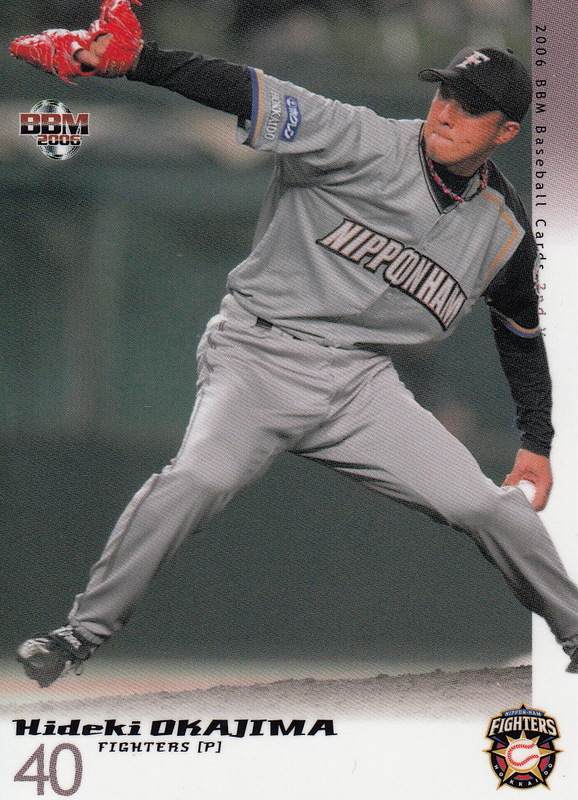 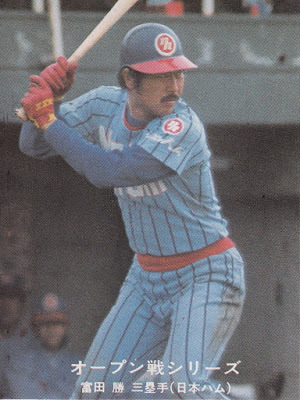 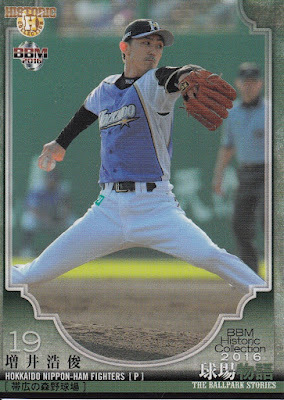 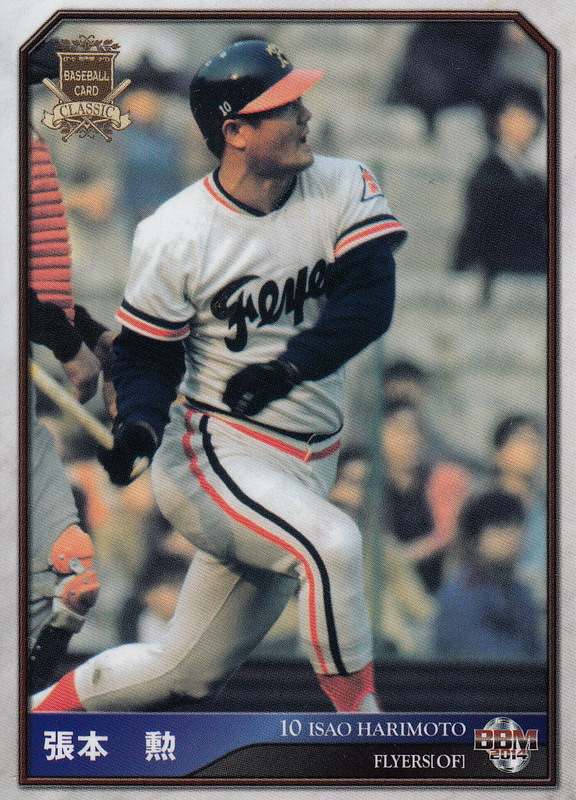 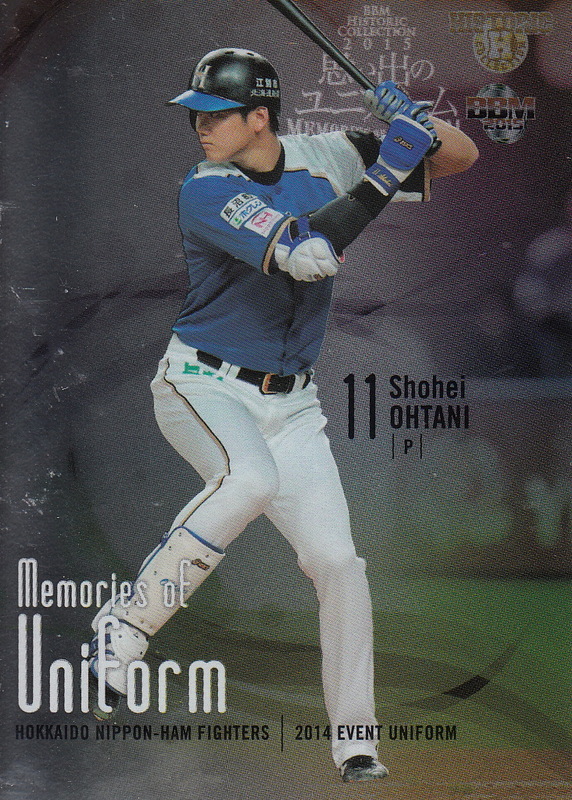 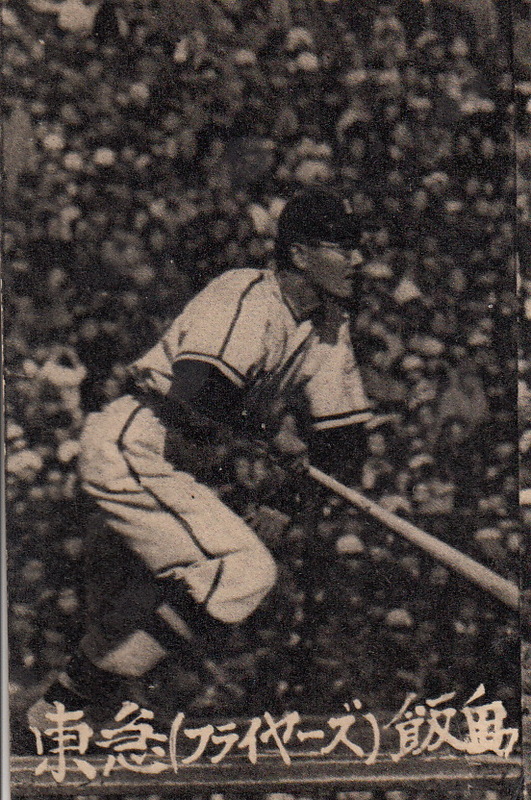 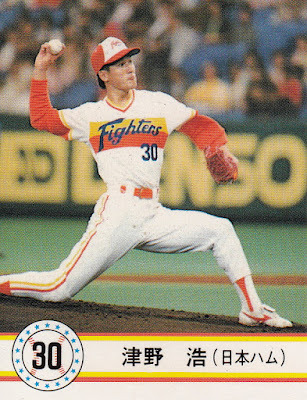 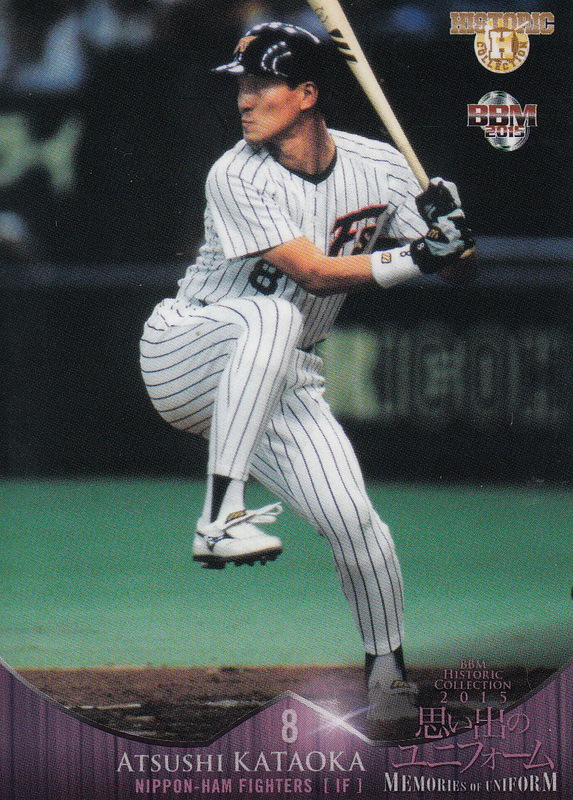 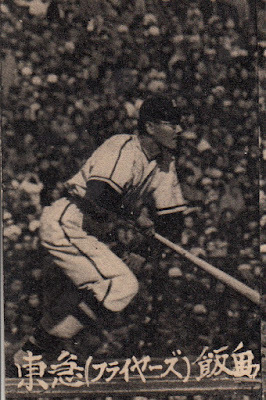 BBM has had a handful of OB cards that depict players from the 1947-53 Tokyu and Kyuei Flyers but most of them don't show off the uniform very well so I didn't use them. 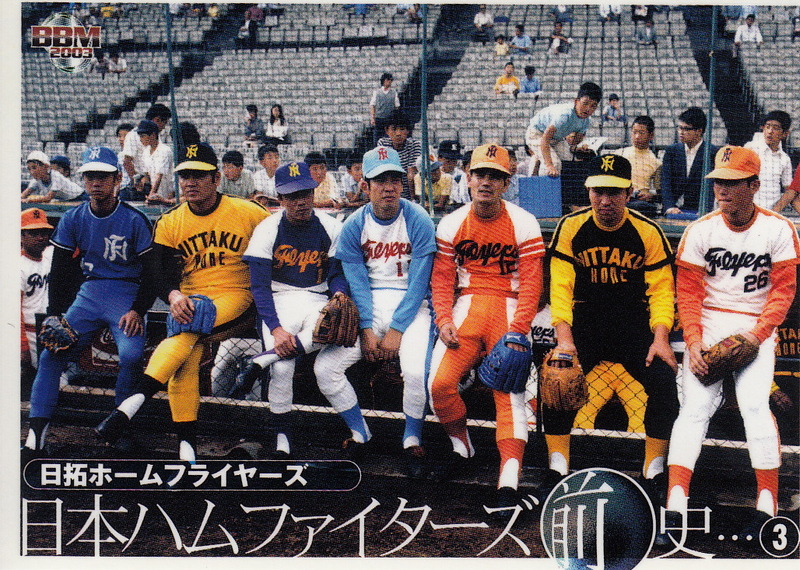 There are some subtle differences between uniforms that might not be obvious (or visible). For example, the 1979-81 uniforms differ from the 1974-78 uniforms in that they have belts and the player's name on the back. 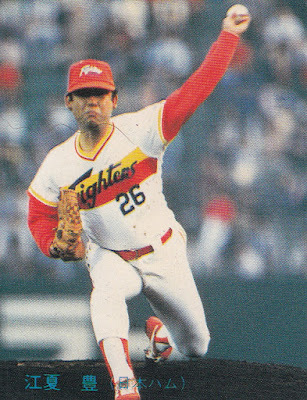 The 1982-87 uniforms only differ from the 1988-92 uniforms because of the hats - HOU treats 1982-92 as one uniform but PBUE splits them into two (which is what I went with). 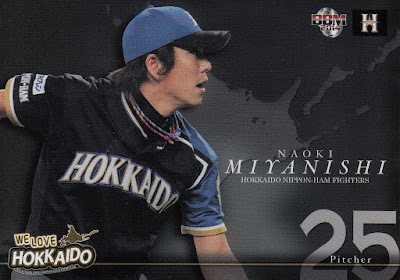 I have only four cards showing members of the Nittaku Home Flyers and two of them are in this post. 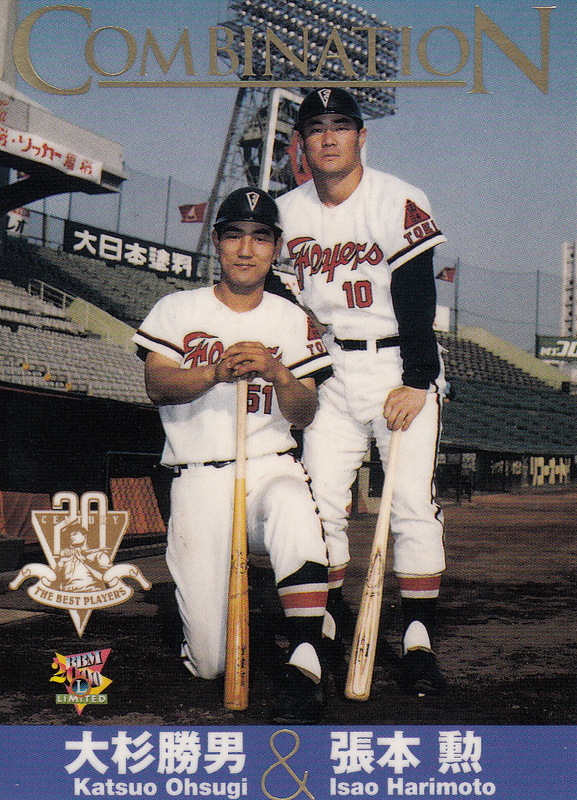 The other two commemorate Naoki Takahashi's no-hitter and show the home uniform. 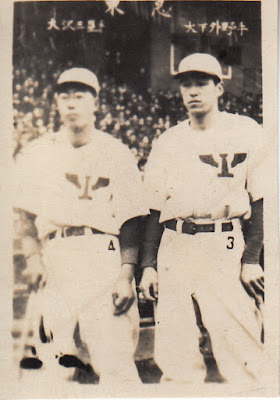 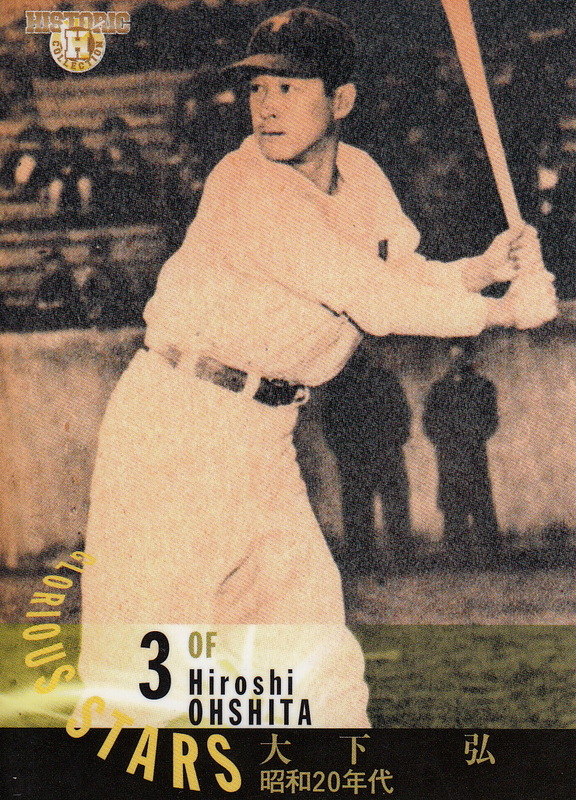 One interesting tidbit of trivia - the 1946 team wore "hand-me-down" uniforms from the 1936 Hankyu team. 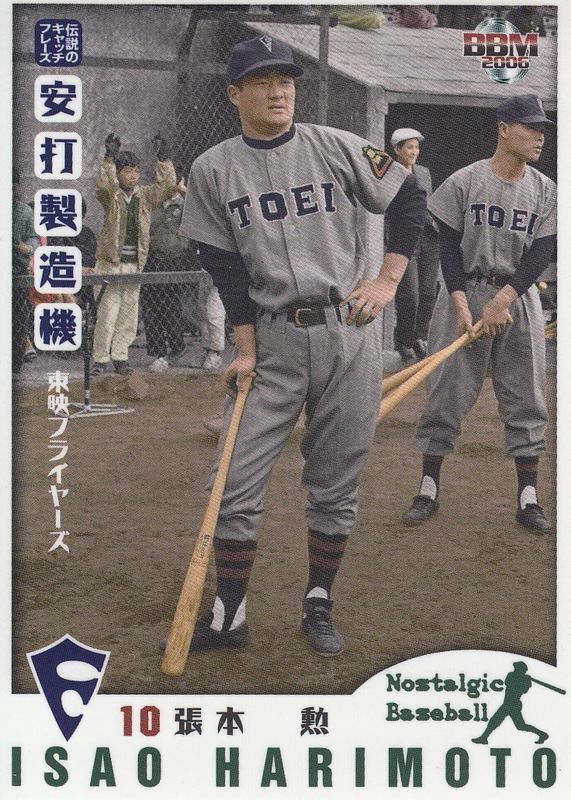 This is the only team so far that I've seen have a "spring training" uniform identified in PBUE. 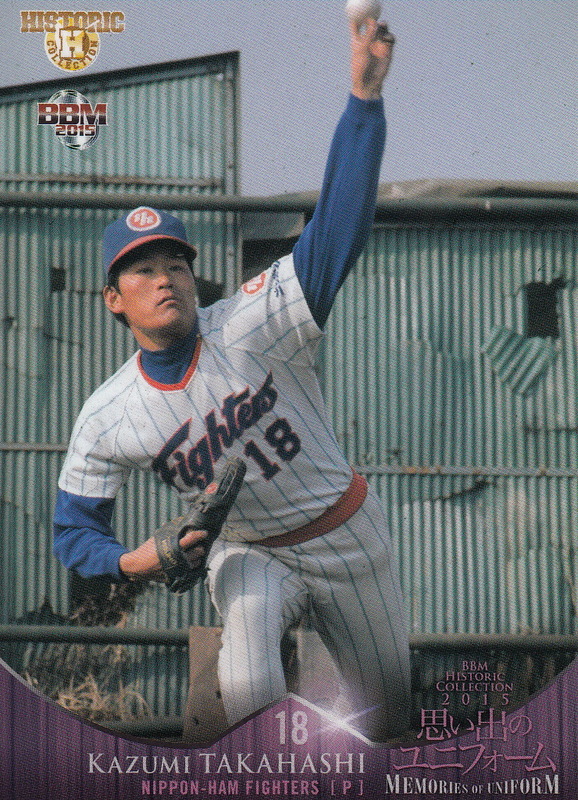 3/16/17 UPDATE - added the 2003 BBM Fighters card showing all seven of the alternate uniforms for the 1973 Nittaku Home Flyers. The new Hall Of Fame inductees were announced today. 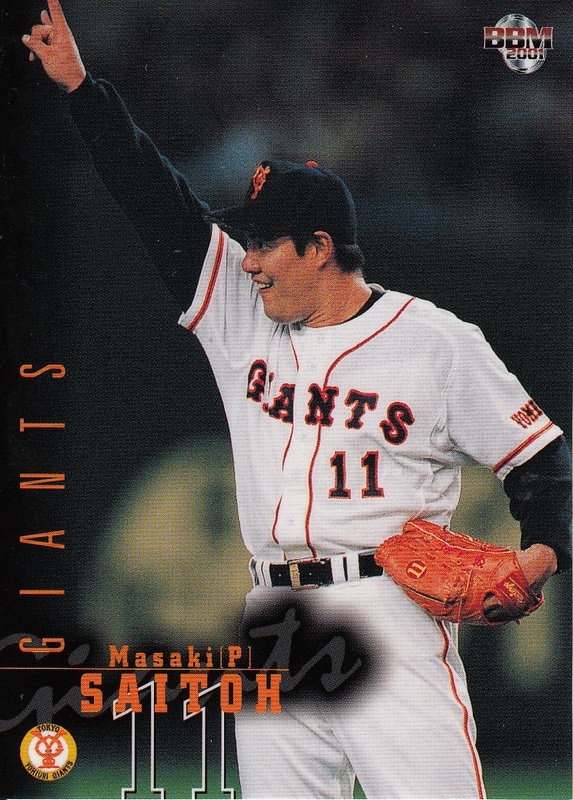 Former Giants pitcher Masaki Saitoh and former Lions, Hawks, Giants and Baystars pitcher Kimiyasu Kudoh were both elected in the "Players Division" vote. Orions star from the 1950's and 60's Kihachi Enomoto was elected in the "Expert Division" while the "Special Selection" Committee elected two executives - Takizo Matsumoto and Masataka Yamanaka. 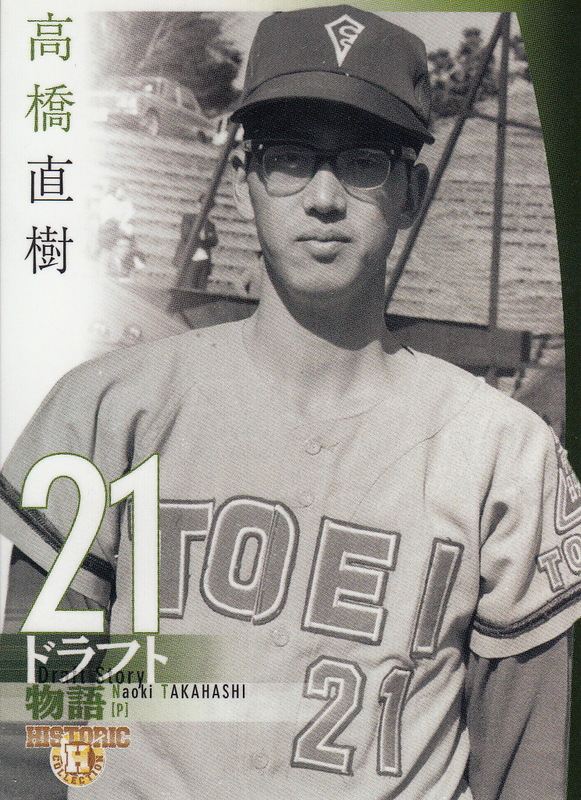 By the way Jim Allen recently wrote a post on Enomoto and why he deserved to be elected. 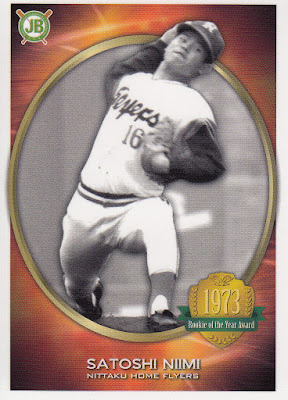 Here are some cards of the new inductees. I've done posts previously for Kudoh (when he retired) and Enomoto (when he passed away). 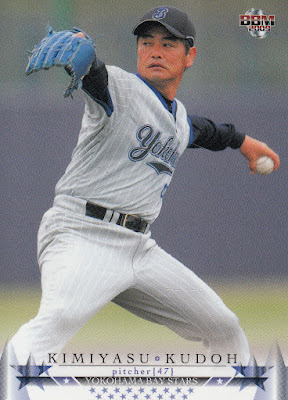 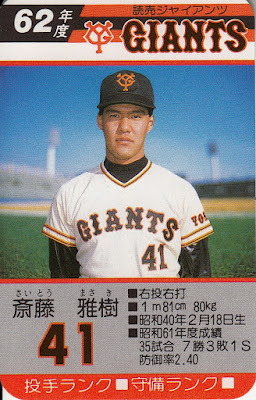 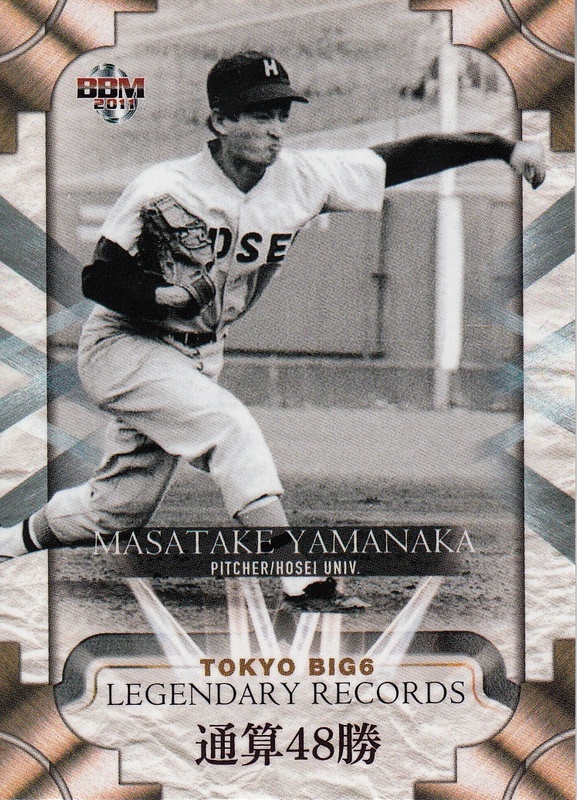 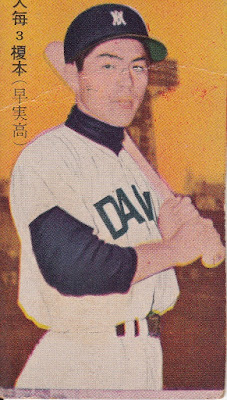 I want to point out here that Yamanaka never played professional baseball but the 48 wins he earned pitching for Hosei in the late 1960's is the career record for the Tokyo Big Six league and he was included in BBM's 2011 Legend Of The Tokyo Big Six set. 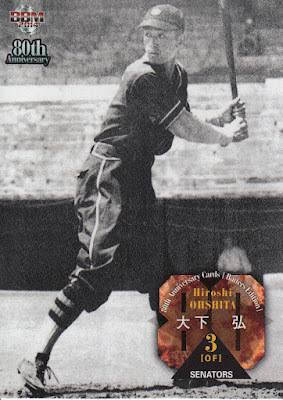 I'm pretty confident in saying that this is the only baseball card he has ever had.